Skylanders is the game that got me back into playing video games and I love it. 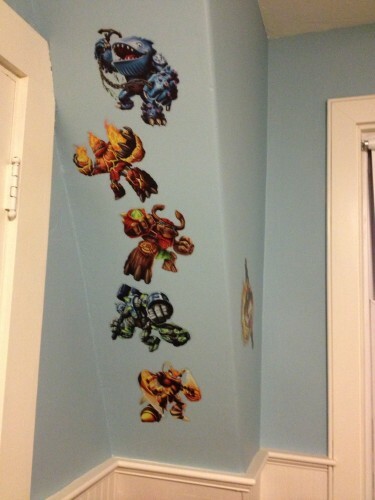 When asked to review the Iron Man Wall Decals a while ago I was excited to see that RoomMatesDecor.com also had some Skylanders Wall Decals. I asked if I could review them as well and they agreed. Opinions of the decals are 100% my own and my daughter’s. When I got these wall decals I was pretty excited. There were a bunch of characters that I really enjoyed. I had in mind what I wanted to have on my office wall. Eva had other plans. We compromised and this video is of what we decided to do with the wall decals. So, I ended up without one of the giants. Oh well. I hope that RoomMates makes another 30 pack with more characters and includes the two additional Giants and maybe some of the variants like Gnarly Tree Rex and Granite Crusher. I love how the Giants look on my office wall. They look great there on that slanted wall in a line together. There isn’t much that you can do with that type of wall but these wall decals are perfect for decorating. 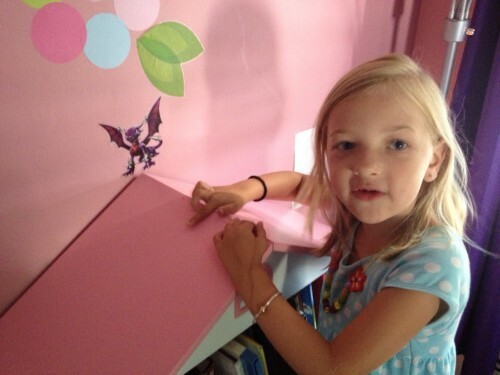 Eva had a fun time putting up all of her decals. It was very important to her that the characters were near their elemental symbols. 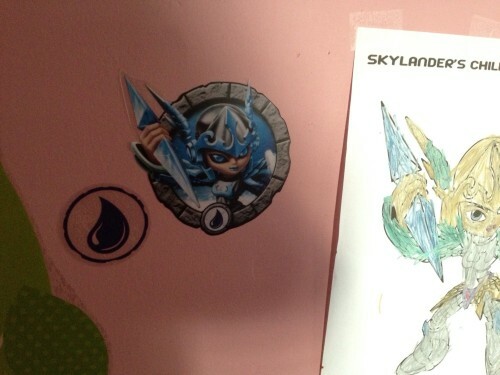 I figured that she’d want the decals all around her Skylanders decorations. She decided that it would be better to have many of them over her bed and everywhere else in her room. She managed to keep Bouncer for herself, too. Chill is one of Eva’s favorite characters. She was excited about getting this character and placing it right next to a picture of chill that she colored. The RoomMates decals were very colorful and perfect recreations of the characters except for one error. The decal of Whirlwind in the portal did not have the correct elemental symbol. Her symbol should be wind however it was water. It is a small mistake and everything else was spot on. 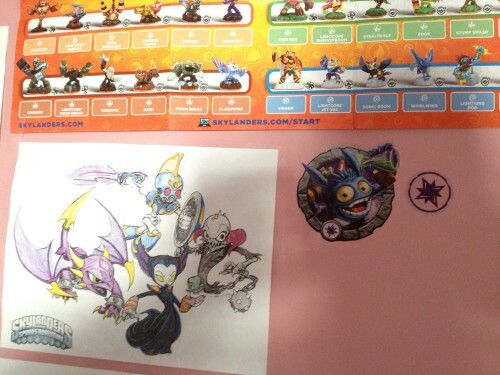 I looked at the RoomMatesDecor.com website and there are bunch of cool Skylanders sets of decals including ones that are huge and are assembled from multiple decals. 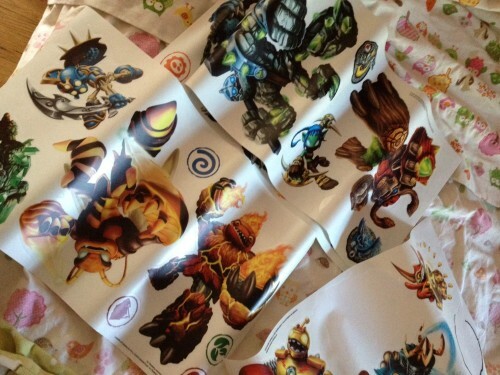 I would certainly recommend that if you have a Skylanders fan in your house and they want to decorate their room then these are a perfect solution. Spyro the Dragon is Back and All Fired Up! !